I had one of the most incredible food and wine experiences of my life recently, all thanks to Dan Pirelli at the Wine Hotel. 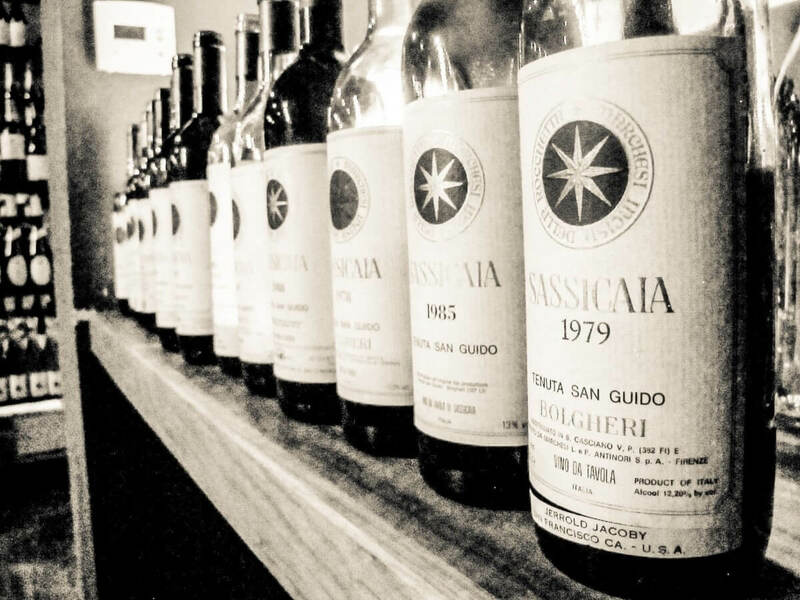 Who else would have the ability (or the vision) to put together a vertical tasting AND paired-wine-dinner with 15 vintages of Sassicaia? Nobody else. Never been done before. May never be done again. Lamb Tartare to start, alongside 1980, 1981, 1982 and 1983. I love vertical tasting because it gives you insight into so many unique facets of a wine. It’s like normal wine tasting on steroids. You get all the usual sensory information (aromatics, fruit, acid, tannins, color), plus the most interesting aspect of all- time. When you taste over decades of winemaking you get a sense of the evolution of the wine, the struggle and triumph of the winemakers, and the history of the terroir. Global Warming? You’ll sense it. Change in wine-making regime? You’ll taste it. New vineyards? New barrels? It’s crystal clear- especially when you line them all up and taste them next to one another. 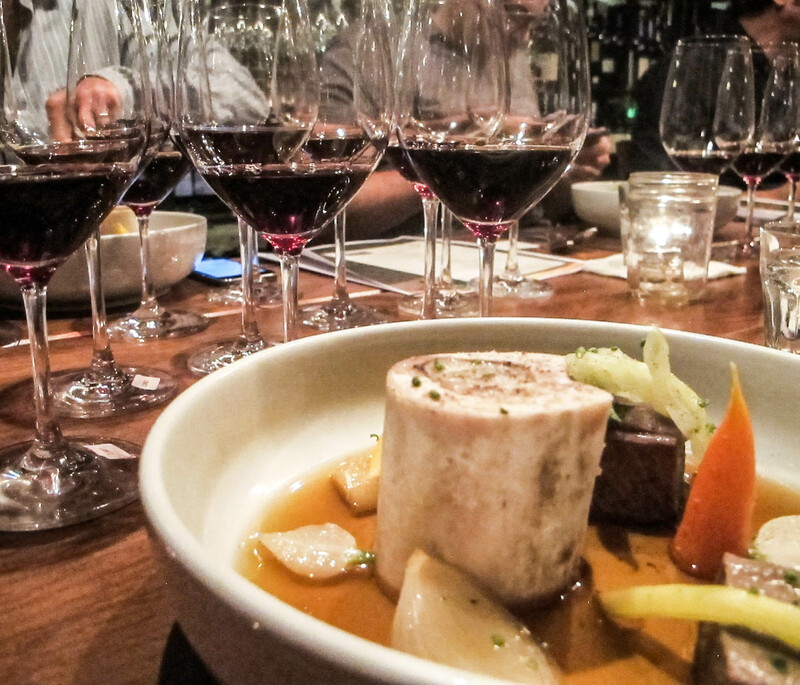 Beef Tongue Pot-au-Feu paired with 1984, 1986, and 1987. 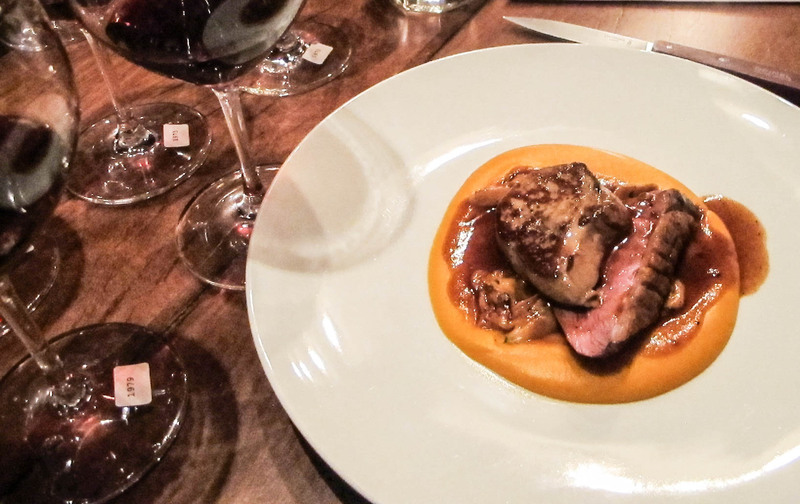 Pairing food with old wines is not simple task. At Republique this is done artfully and with laser-focus. 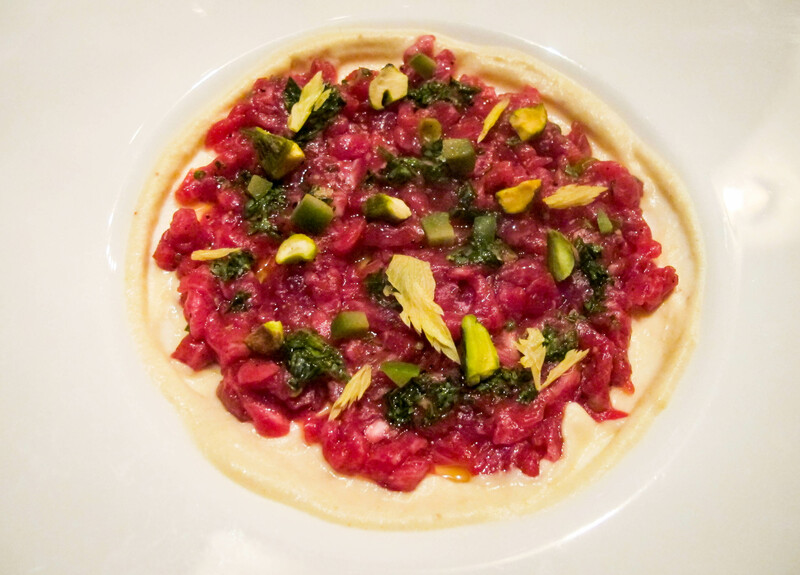 Taylor Parsons and Chef Walter Manzke know the general flavor and aromatic composition of the wines beforehand, so they can design a rough outline of proteins and sauce-bases, but the final flavor adjustments happen at the last possible seconds. Tastes of the wines are flying down to the kitchen periodically so that Chef Manzke can sniff, tastes and fine-tune each dish to the most perfect degree- à la minute. Now that is something you rarely, if ever, see in the world of fine dining. Simply thrilling. 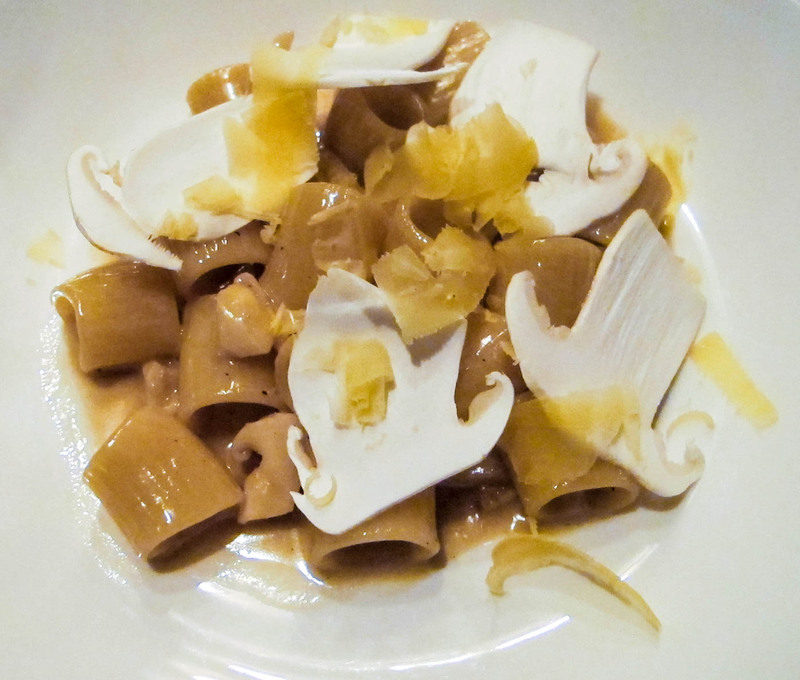 Mezze-maniche with Beemster Gouda and Matsutake Mushrooms: 1975, 1976 and 1988. There were definitely a few stand-outs from the vertical. 1982 was predictably amazing- lilacs, dried hay- delicate and feminine and totally beguiling. 1975 was also beautiful- decidedly more masculine with a very savory profile- salty/sweet/ amaro palate and a super long finish. 1979 was also remarkable- sultry and brooding with these sweet tones of wet earth and minerality. My notes for 1978 weren’t as expository- I simply wrote “amazing”. Duck breast and butternut squash with 1970, 1978, 1979 and 1985. I feel like I learned a lot about Tenuta San Guido and Sassicaia from this dinner. I probably learned a lot about tasting wine, too. These are the experiences you should search out if you want to expand your palate and your mind. 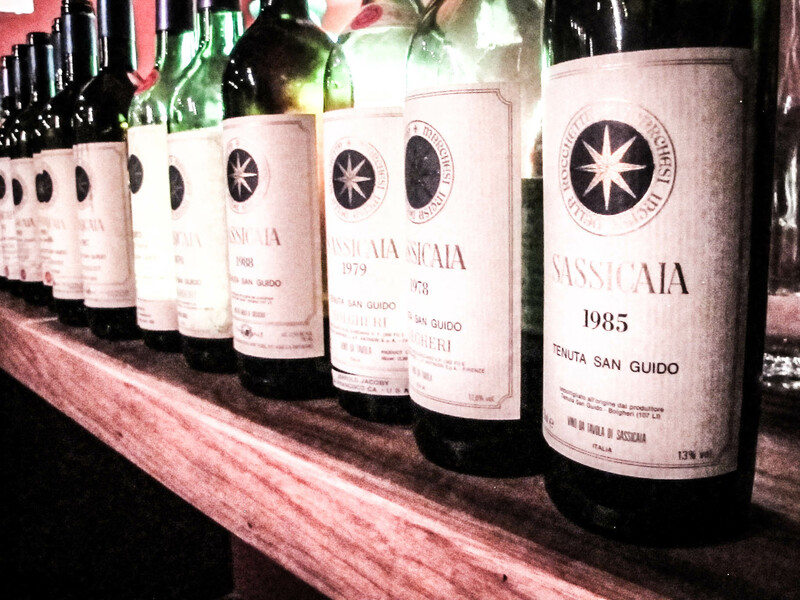 Lots of people (wrongfully) think Sassicaia is only about power, extraction and strength. I found that in contrast this is one of the most old-world, elegant, food-driven wines in the world. Especially with age. In the tradition of many Cabernet-based wines, Sassicaia needs time to express its true potential, to show its innate elegance and grace. Taylor Parsons- Man, Myth and Legend. 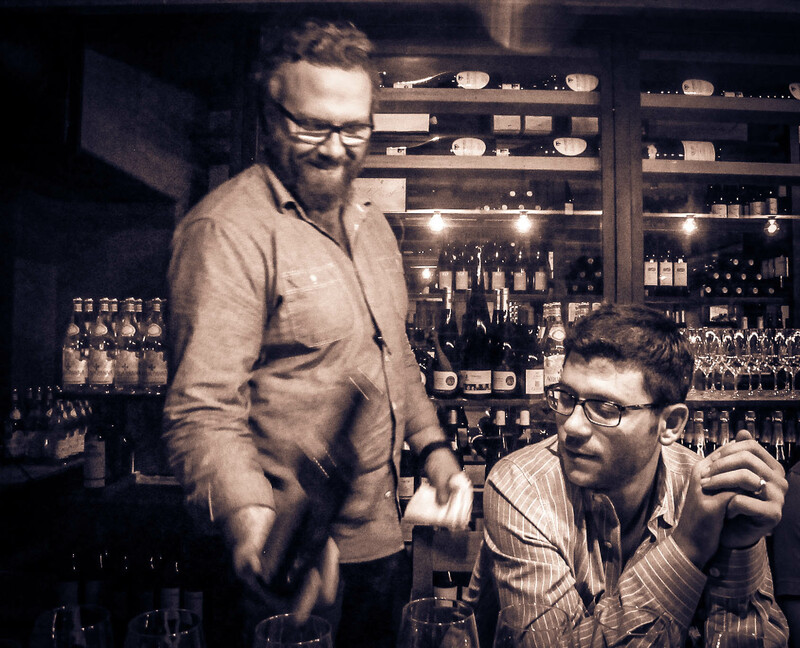 The chance to taste these wines was unforgettable, but the way Dan Pirelli, Republique Wine Director Taylor Parsons and Chef Walter Manzke paired the food with these wines was simply extraordinary. I highly suggest you click through to the Wine Hotel’s website and sign up for their newsletter… These three put a wine dinner together each month, and every one is better than the last. Simply the ultimate experiences in food & wine pairing. I felt really flattered to be part of this dinner- almost like being invited to a secret meeting of the illuminati. 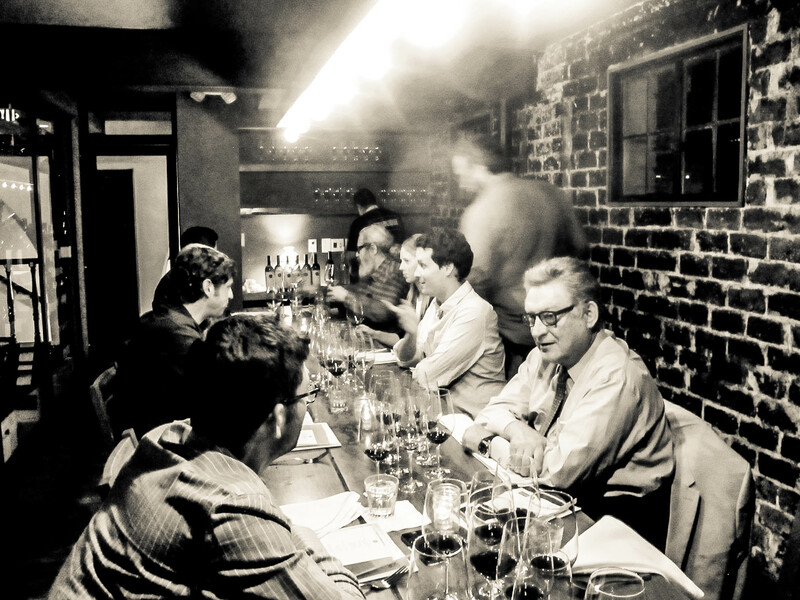 But the truth is, these intimate gatherings can be found at the heart of every city’s wine scene. Look around you and find people like this who are genuinely excited about wine and cuisine. These are people who want to learn- people who want to have an inspiring conversation about wine and flavors and life. My kind of people. A solitary Sassicaia is a treat. Then, to have a vertical served perfectly matched to exquisite cuisine? Come on. I’ve had only a few Sassicaia. People always ask me if the experience of these expensive wines really is that much different. I answer that some are, for me, and some not so. Sassicaia is one that certainly delivers something that you cannot get from cheaper wines. It just surpasses expectations in most vintages. You are the lucky one.